Every cook needs an easy, throw-together salad that can be made on a moment’s notice. This nutritious carrot salad is as chic as it is classic. It’s found in nearly every French cook’s repertoire, as well as eateries across the globe. Crunchy, fresh carrots blend with bright, zippy lemon mustard dressing in what is perhaps one of the easiest preparations in authentic French cuisine. In a small bowl, whisk the lemon juice, mustard, and olive oil together until the dressing is completely blended. Stir the dressing into the shredded carrots. Sprinkle the carrot salad with the salt, pepper, and parsley, if using. Toss the salad again to blend the seasonings and chill it for 30 minutes before serving. 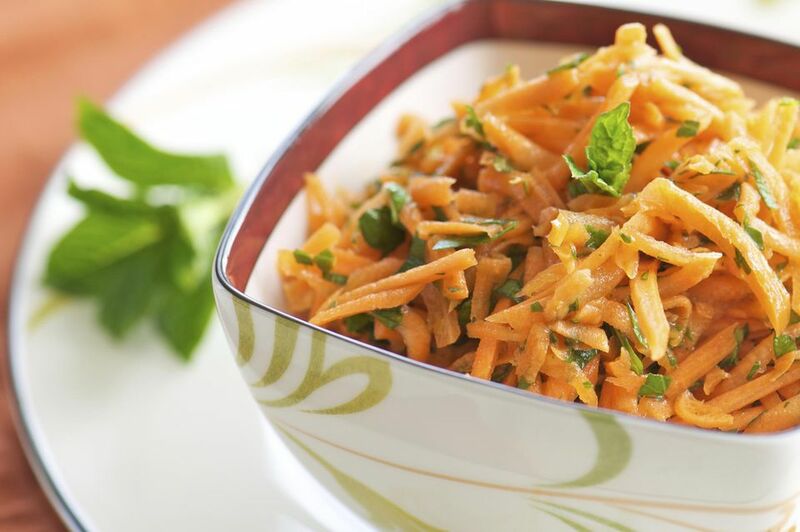 This classic French carrot salad recipe makes 4 to 6 servings.